With more than 300 visitors, the Eco-Couture Recycled Fashion Show, created and organized by graduating Architecture student Amira Ajlouni, was a resounding success. On Thursday, March 27th, a large crowd gathered in the Paul L. Cejas School of Architecture courtyard to witness the first of hopefully many more events like this. The evening started with the USGBC South Florida Chapter’s GREENworking social, which was held underneath a canopy of woven plastic bags, custom-made for the event. Blue lighting, music, 30 chairs fabricated from salvaged and recycled wood by John Gioiello (ARC) and Martina Gonzalez (LAA), made for an elaborate display and transformed the courtyard into a dreamy environment. The fashion show started at 8:30PM, and was comprised by thirty-five entries that used recycled materials to create various types of apparel. 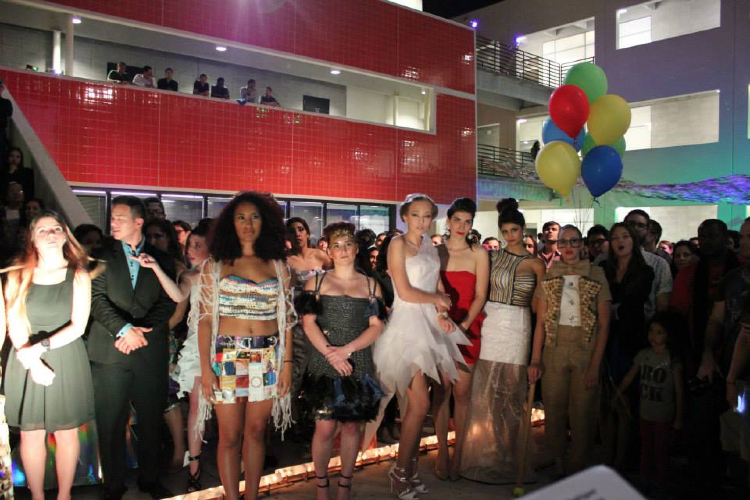 An illuminated runway guided the models through the courtyard. 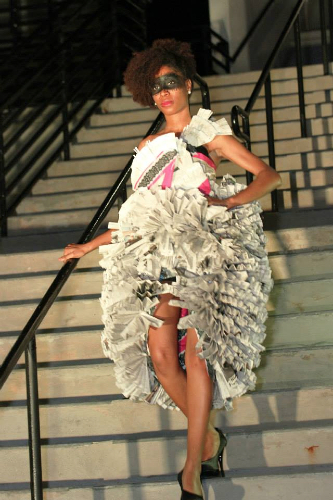 The group of models included Associate Professor Gray Read, who wore a full paper outfit created by Amira Ajlouni. 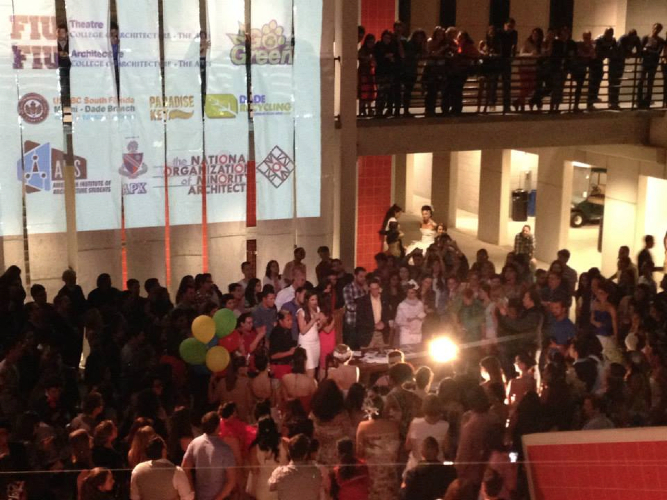 The evening ended with the AIAS FIU Chapter’s Archi-Prom after-party to celebrate the end of the semester. 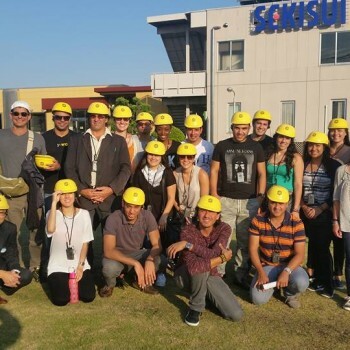 The images in this article are provided by the Eco-Couture FIU’s Facebook page.